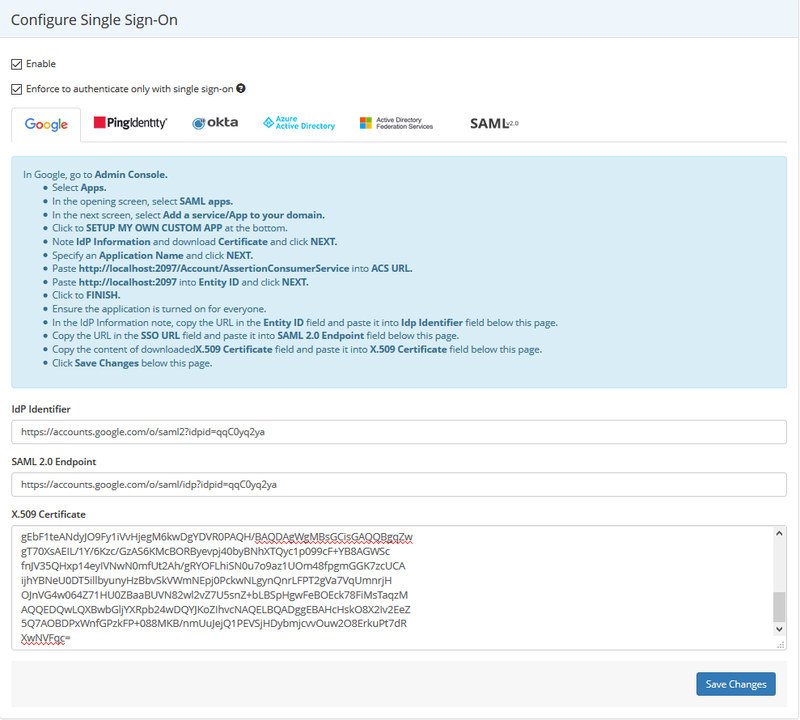 Using Security Assertion Markup Language (SAML), a user can use their managed account credentials to sign in to enterprise cloud applications via Single Sign-On (SSO). An Identity Provider (IdP) service provides administrators with a single place to manage all users and cloud applications. You don’t have to manage individual user IDs and passwords tied to individual cloud applications for each of your users. An IdP service provides your users with a unified sign-on across all their enterprise cloud applications. Log in to your Google account and navigate to the Admin console. Click Apps. The Apps window is displayed. Click SAML apps. 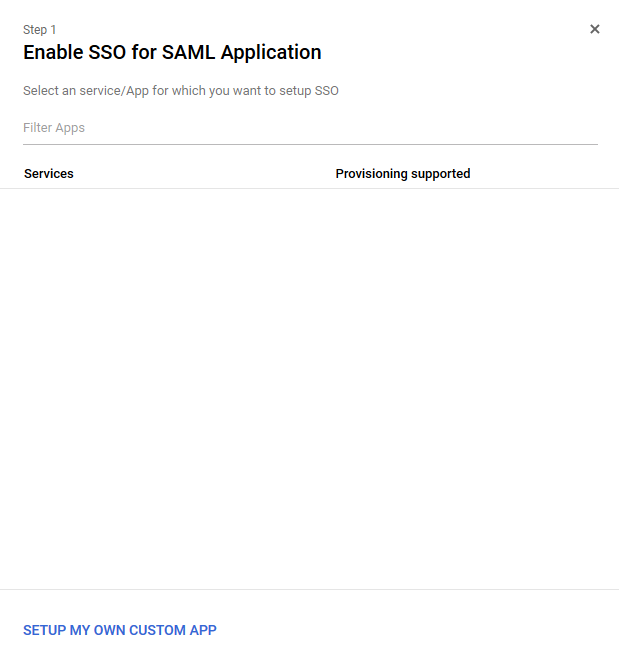 The SAML Apps window is displayed. Click Add a service/App to your domain. The Enable SSO for SAML Application window is displayed. Click SETUP MY OWN CUSTOM APP. 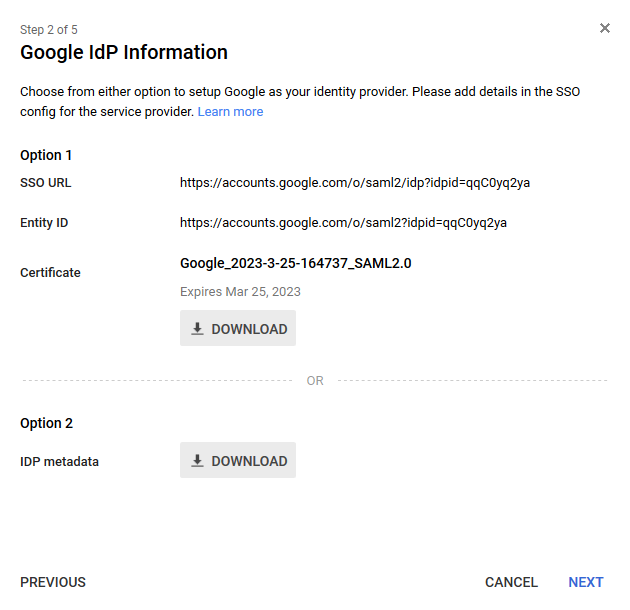 The Google IdP Information window is displayed. In IDP metadata, click DOWNLOAD. Click NEXT. The Basic information for your Custom App window is displayed. Enter an Application Name and click NEXT. The Service Provider Details window is displayed. 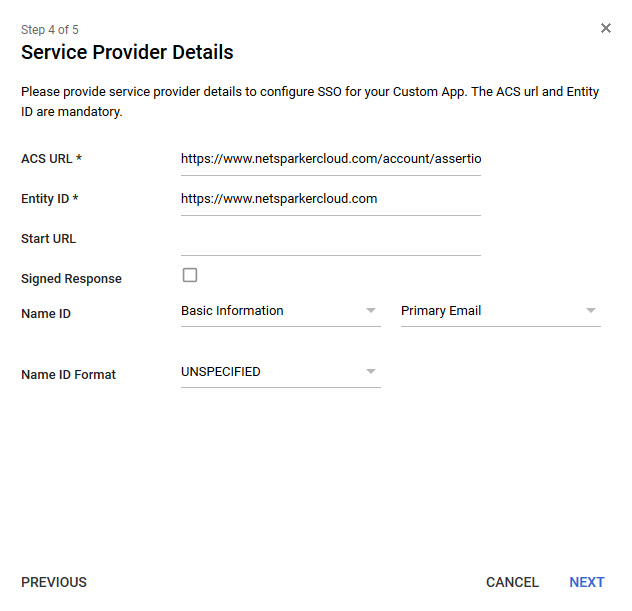 In the ACS URL field, copy and paste in the contents of the SAML 2.0 Service URL field from Netsparker Cloud’s Single Sign-On window. In the Entity ID field, copy and paste in the contents of the Identifier field (URL) from Netsparker SSO configuration window. Click NEXT. 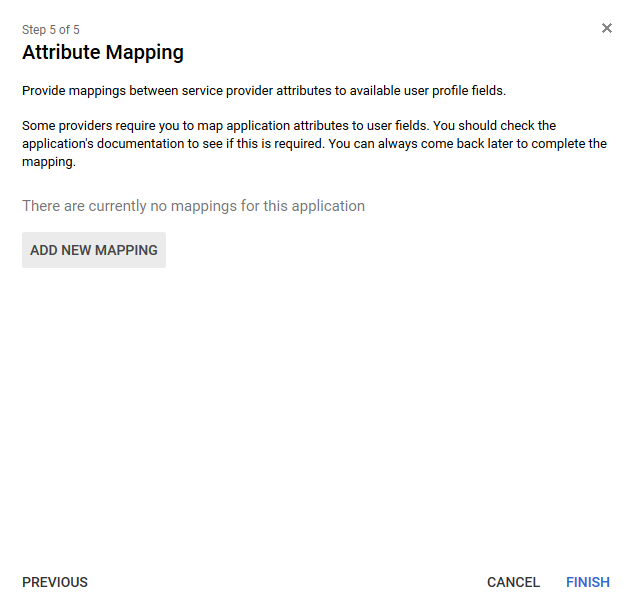 The Attribute Mapping window is displayed. Return to the SAML Settings window. From the More Options (ellipsis), select ON for everyone. Copy the URL from the Entity ID field. 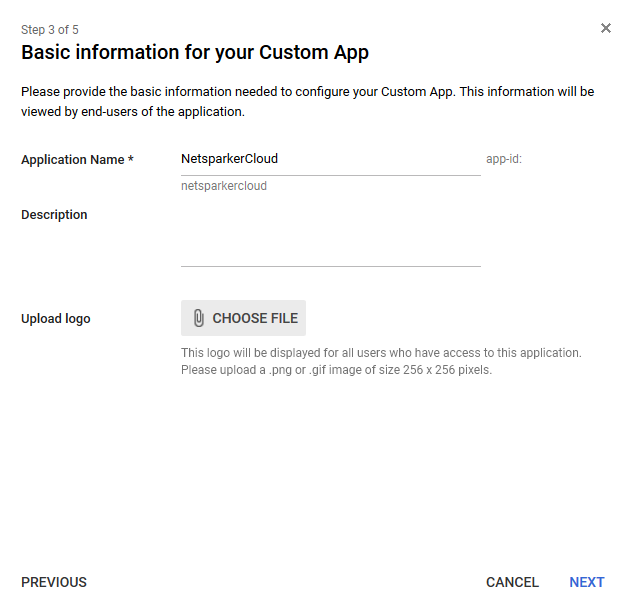 Then log in to Netsparker Cloud, and from the main menu, click Settings, then Single Sign-On. The Single Sign-On window is displayed. Select the Google tab, and paste the URL into the Idp Identifier field. Next, copy the URL from the SSO URL field. Then in Netsparker Cloud’s Single Sign-On window, paste the URL into the SAML 2.0 Endpoint field. Finally, copy the content from the downloaded X.509 Certificate field. Then in Netsparker Cloud’s Single Sign-On window, paste it into the X.509 Certificate field. In Netsparker Cloud’s Single Sign-On window, click Save Changes.